As citizens concerned about plastic rubbish threatening Bali’s beaches and waters we call on you to ban the manufacture, distribution and use of plastic bags on Bali. We count on you to honour your promise and swiftly pass legislation that ensures an end to the plastic pollution. 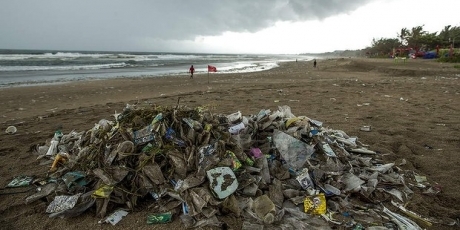 The pictures are shocking: Bali’s most iconic beaches are littered in heaps of plastic rubbish. It’s hard to imagine tourists sunbathing and surfers catching waves amidst the debris, but the monsoon has brought a tidal wave of trash to the island’s shores -- and this year, it’s worse than ever. But there’s a ray of hope: Activists on the ground are working hard to get Bali’s governor I Made Mangku Pastika to ban plastic bags plastic, and they're seeing first successes. Now it’s up to our community to make it happen! Plastic bag bans work. Several countries already ban or restrict them, including Bangladesh and China, where use fell dramatically. Getting Bali to say bye-bye to the pollution could be the first step in making Indonesia plastic bag free. Sign now and share widely -- when we reach 1 million, Avaaz will deliver the petition on the steps of the governor’s office. This petition was started by Melati and Isabel on Avaaz's Community Petitions Site. Photo by Jason Childs.